So you might think that in Texas, lots of days would be ideal for just hanging around in a hammock. I mean, we get some pretty good weather year round and plenty of sun, but the reality is that there’s really only a few times a year that I think, wow, I have to take time out and get out there and just kick back in the hammock. The temp, the breeze, the humidity … it has to be right for me to want to [ideally] snooze in the hammock. At mid afternoon we had temps in the low to mid 80s and a light and occasional breeze that was just about perfect. As I lay there gazing up into the Live Oak above me I was treated to some visitors. First came the woodpecker. Hard for me to tell what kind. It was very animated and jumping from branch to branch and pecking away. It appeared to have plenty to feast upon. Then came the hummingbird that swooped in out of nowhere. Without the motion of its arrival I would never even have noticed it. At best, it was only 2 to 3 inches tall and once it lighted, it hung out on a branch for quite some time. It was practically invisible without the movement of flight. The other visitor I noticed was a lizard shooting up the same tree. Again, hard to tell exactly what kind but there are so many Texas Spiny Lizards around here that’s likely to be the case in this instance too. 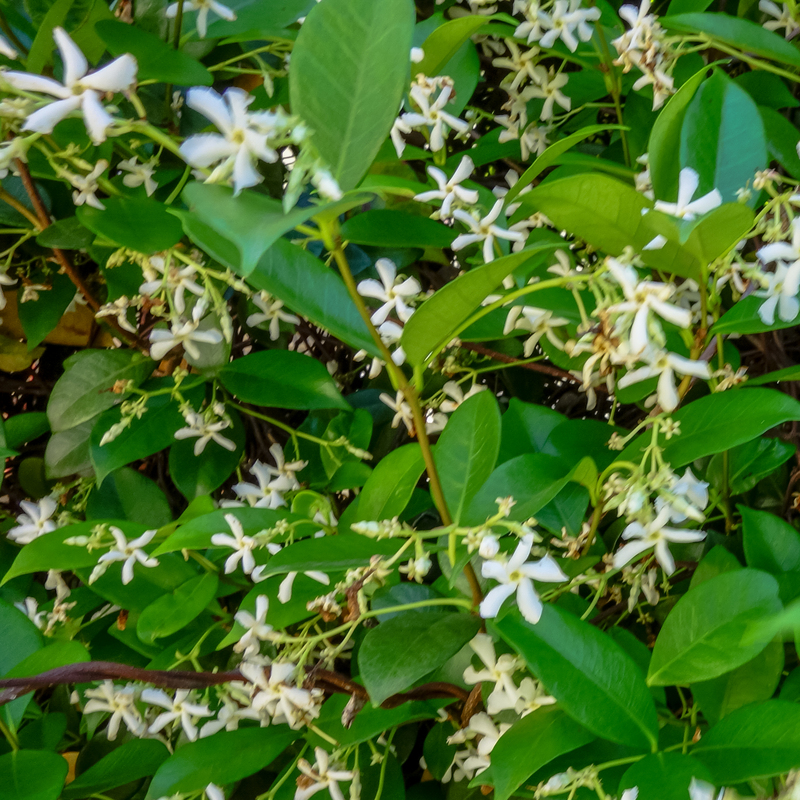 This warm and restful moment was accompanied by the scent of Star Jasmine. (see pic) My neighbor has some planted and over the years this vining plant has taken over a rock wall nearby. There’s nothing more evocative of late April and early May for me than this scent. It blooms in places around the city and central Texas and when I catch a whiff I just have to stop for a moment. It’s imprinted on me and as memorable as Lilacs, Bluebonnets and Easter Lilies. 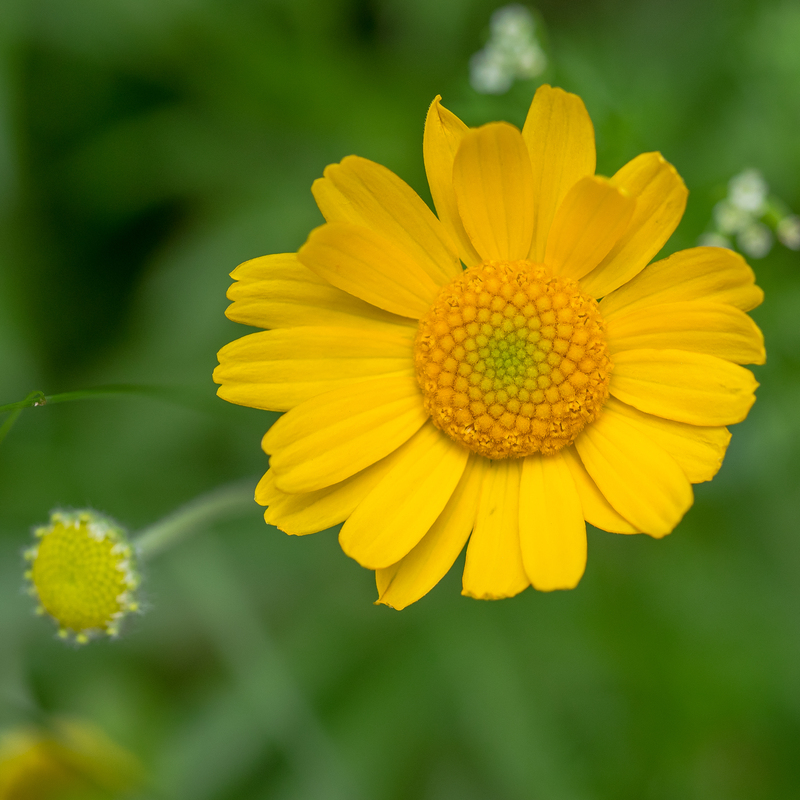 It’s that time of year in central Texas when things bloom and as it warms up in the spring in late April and into May, the yellows and reds seem to be more prevalent. We’ve had a pretty good display of wildflowers this year. My last post here showed the bumper crop of Bluebonnets. Since then I’ve snagged a few shots of yellow flowers. My Instagram feed has, in fact, become a bit repetitious. Lots of flowers. The two photos posted here though were a couple I didn’t post to Instagram. Both of these were taken on walks in my neighborhood. I have no idea what the daisy-like flower is but we had a ton of them around here for a while. 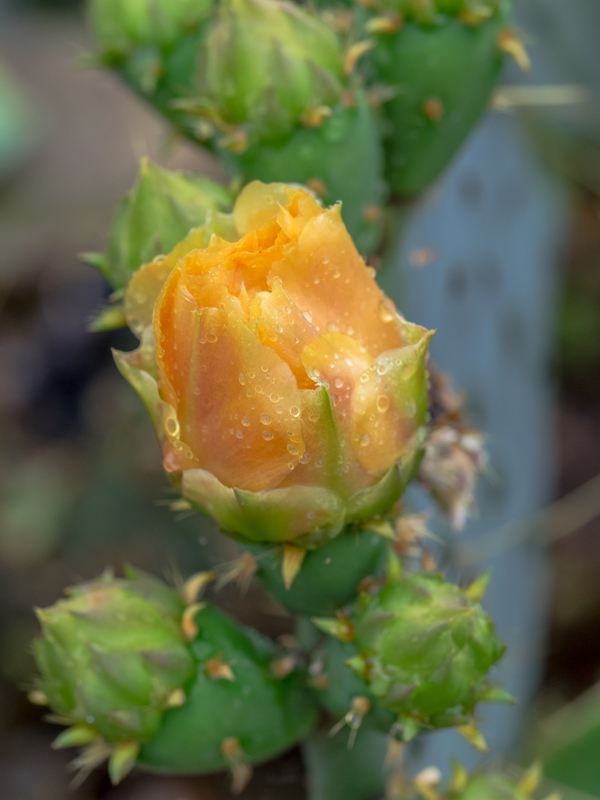 As it’s warmed some more, the Prickly Pear cacti have really started to open up. This one here I caught shortly after a recent rain. It won’t be long now and it’ll start to feel a lot more like summer and only the hardiest plants will bloom around here. Even the birds seem to go somewhere else in the summer. But the cicadas … they always return. I have yet to hear them but they’ll begin to screech soon and that’ll be a sure sign that summer is upon us. I mentioned the Bluebonnets in the last post so I’d be remiss if I didn’t post an obligatory shot of the Bluebonnets this year. 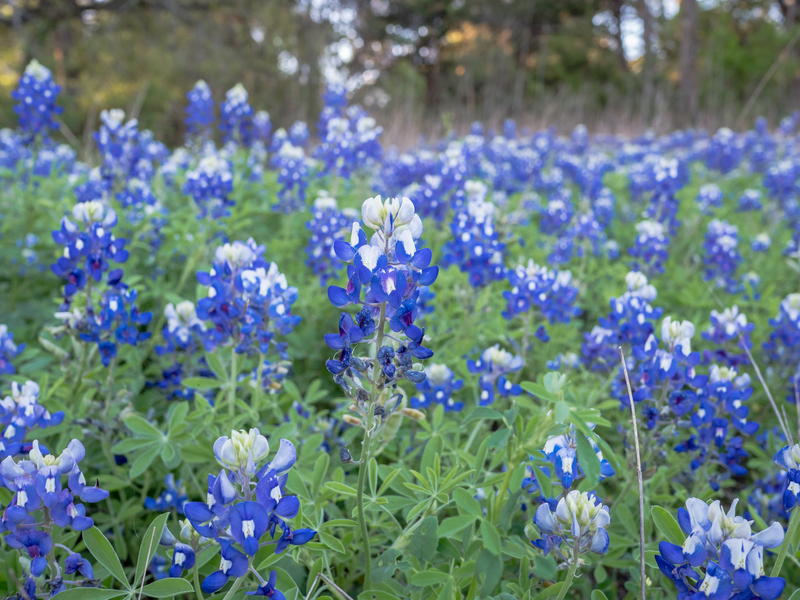 We’ve gotten rain at the right times throughout the fall and through the winter and early spring and this year we’re seeing a bumper crop of Bluebonnets and other wildflowers. I took this one just in the last hour or so on a walk at the end of the day. As you can see by the bit of light hitting the trees in the background it was before sunset but not by much. I liked how this shot turned out. I captured one main Bluebonnet up front and in focus while you still get some perspective of how prolific the flowers have been this spring. There wasn’t much light left but – enough. It’s a new year and time once again to focus on a new goal to keep me in the saddle, so to speak. 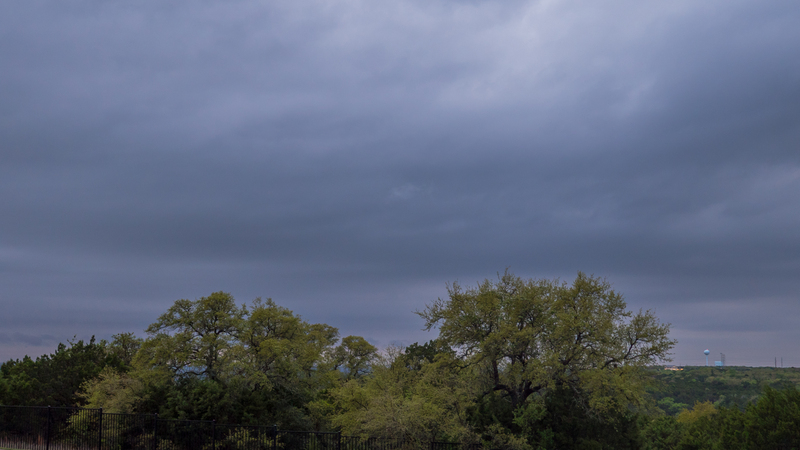 At this time of year, even here in Austin, it’s often gray and at least chilly if not actually cold (where cold is reserved for temps around freezing). As much as I always enjoy getting out to cycle, gray and chilly isn’t typically a recipe to motivate me to get out there. But then the realization hits that I have a bike tour that I’ve already arranged for the new year. At least I’ve put a deposit down. I don’t have flights or any other details worked out. There’s still the ingress and egress to work out. Using a bike tour company, the getting there and getting away are the main challenges to work out. This year I’ll be cycling Corsica and Sardinia. Here’s the tour company take on Corsica at least from when I expect to be cycling and the distance. Details at this juncture on things like elevation are limited but based on what I know, I expect the tour to be “lumpy”. These islands in the Mediterranean are not flat. 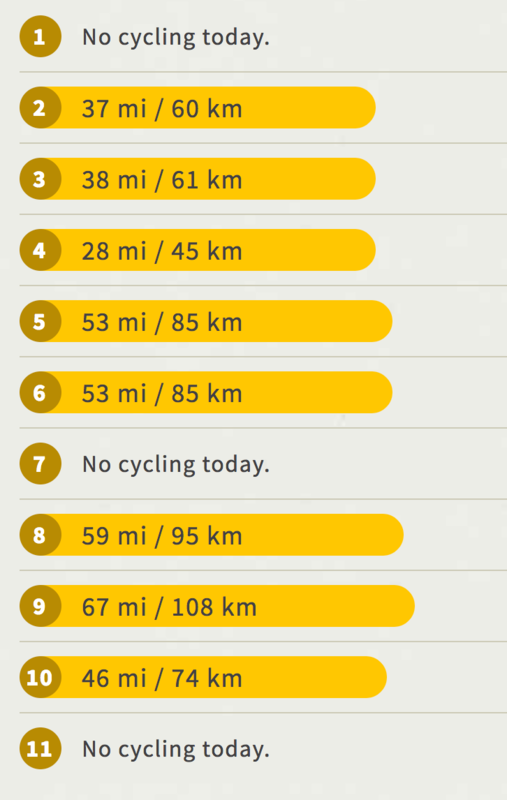 For Corsica, day 1 and day 11 with “no cycling” is typical. Actually, you do cycle on day 1 but it’s just to make sure your bike is in working order. It’s short. Day 11 is a transition/travel day from Corsica to Sardinia. Looks like a good mix of cycling and rest days. (Where some of those rest days may involving hiking or some other activity.) 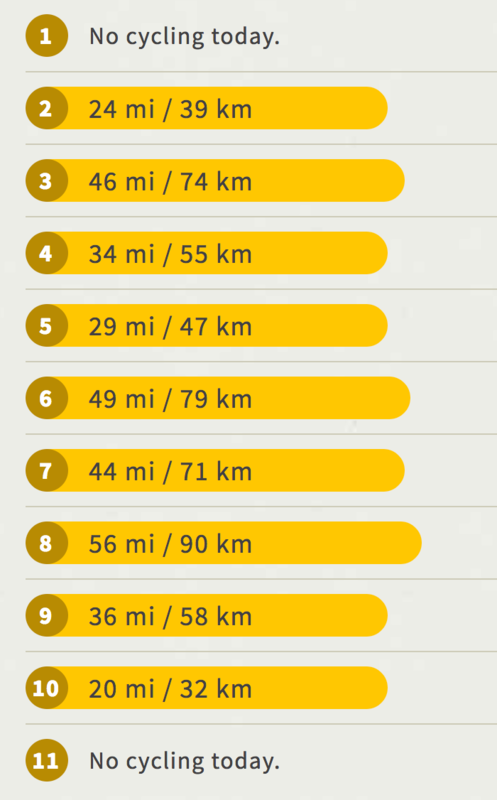 If you’re keeping score at home, my tally of the mileage works out to be around 719 miles. I hope to be ready to simply enjoy those miles rather than consider them a major challenge. So… I’ve been getting rides in any time I can so far this year. And, I expect to keep that up. 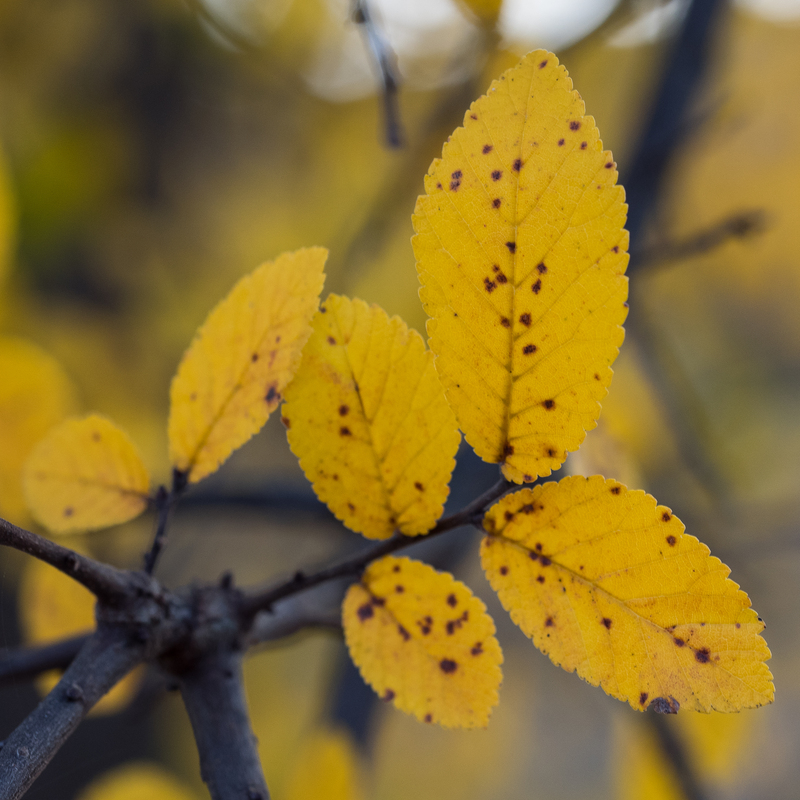 If you search back in this blog you’ll find that it’s pretty typical for me to go out looking for fall color at the end of the year. Here in Austin what would qualify as our autumn and winter seasons can sometimes be counted in days so if and when we have some fall color I try to take notice and capture just a bit. Fall has always been one of my favorite seasons. 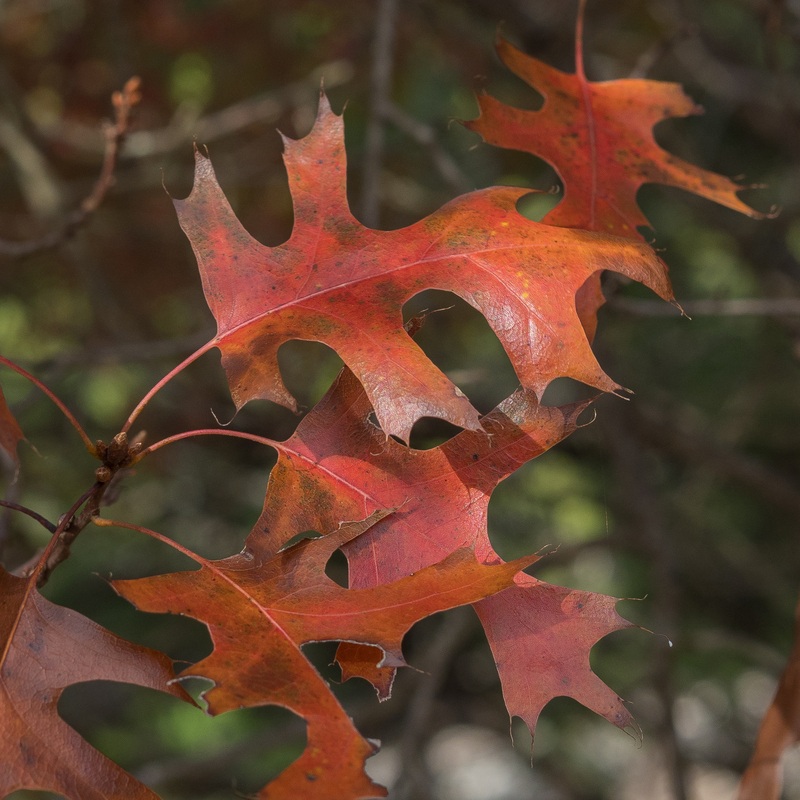 Like most years, fall color peaks in Austin, TX closer to the winter solstice rather than after September concludes as it does in the more northern climes. So these pics are of course recent and just prior to Christmas. 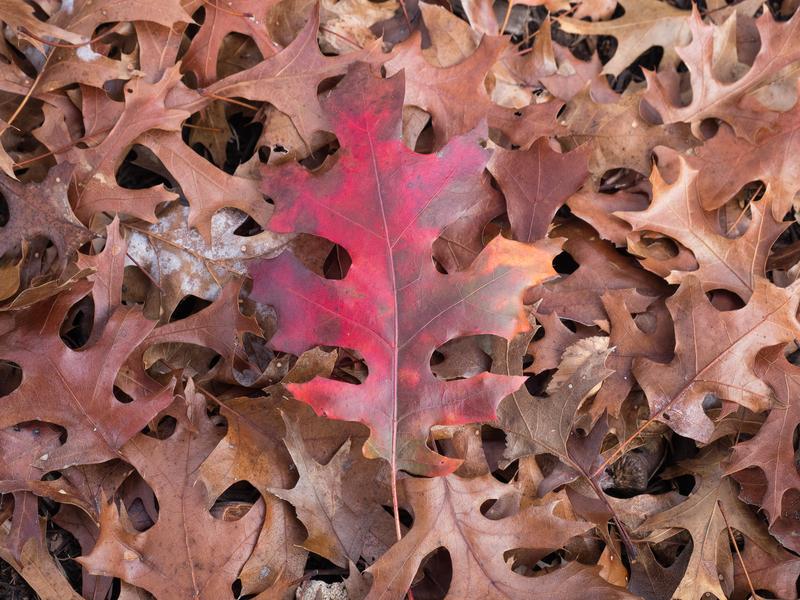 My favorite of the bunch was the still bright red Oak leaf juxtaposed alongside its siblings that had already dropped to the ground. It was the only one I posted to Instagram. I like Cedar Elms and it’s typical of them to get a lovely yellow hue before the leaves drop completely so I think I caught this one just in time. You can get a sense of the time of day as well as the kind of filtered solstice winter light at the end the afternoon in the last of the three pics. I think this is called Maiden Grass (it’s not full enough to be Pampas Grass). I have some at my home as well. 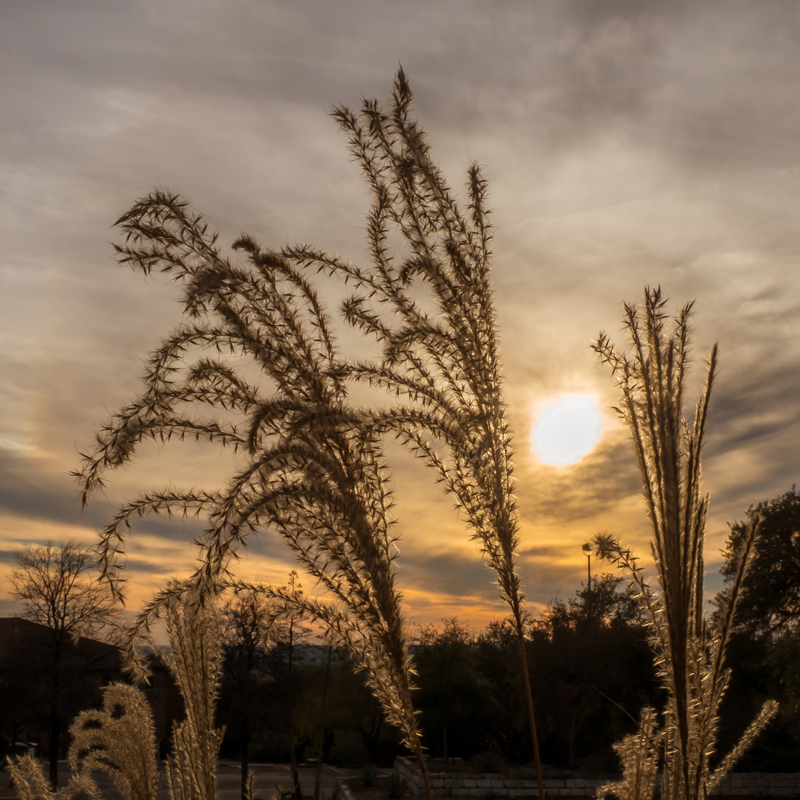 It’s one of the ornamental grasses we have planted all over this part of the world. Looks good year round. It’ll get cut back and then reappear in the spring.